As Boing Boing has written about before, tiny food is all the rage on the Internet. 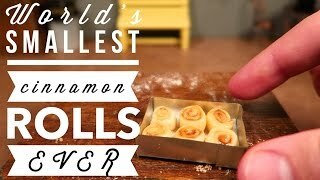 And the YouTube channel Walking With Giants lovingly crafts mini meals with a truly impressive level of detail. I can't explain why these are so addictive to watch, but they really are.